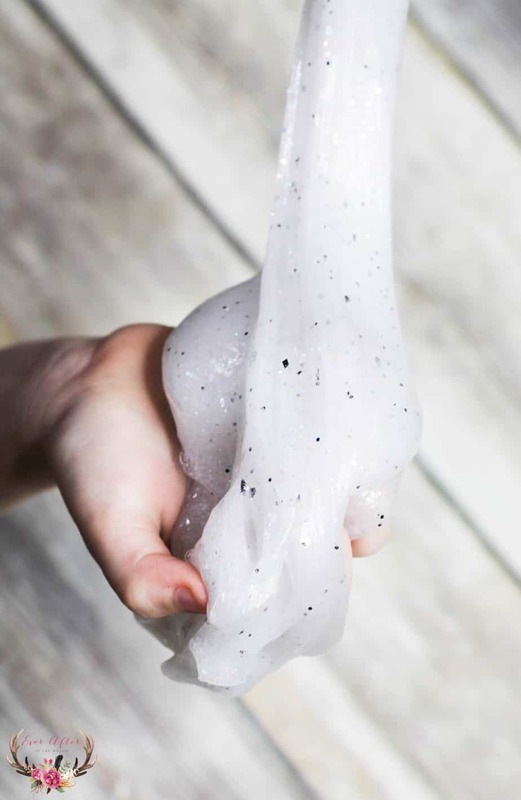 My daughter has fully embraced the slime craze. We made this awesome disco ball slime this past weekend and she was in love with the results. I think Mama really enjoyed this slime too! It reminded me of when I was younger at the roller skating rink. 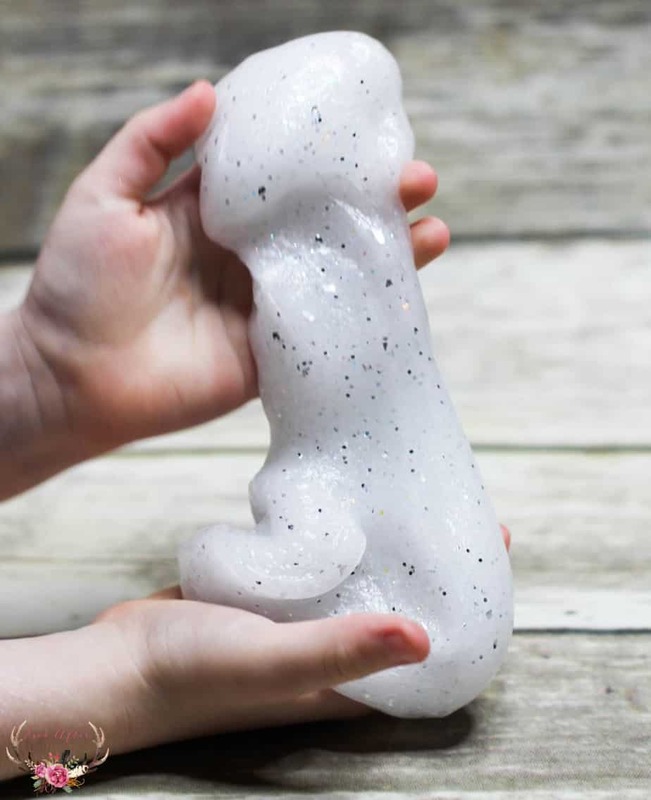 My daughter has been playing with this beautiful slime non-stop for days! I love that it is clear with glittery bits – so simple yet so pretty. 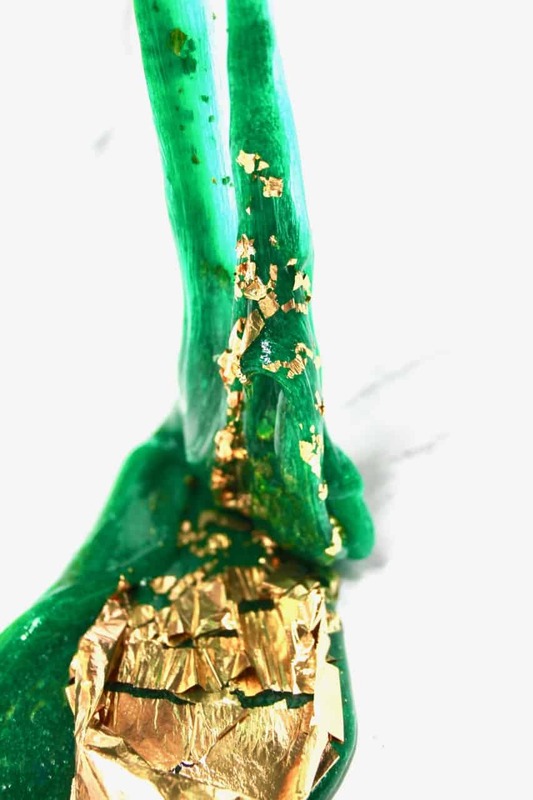 Add the glitter and press into the slime. 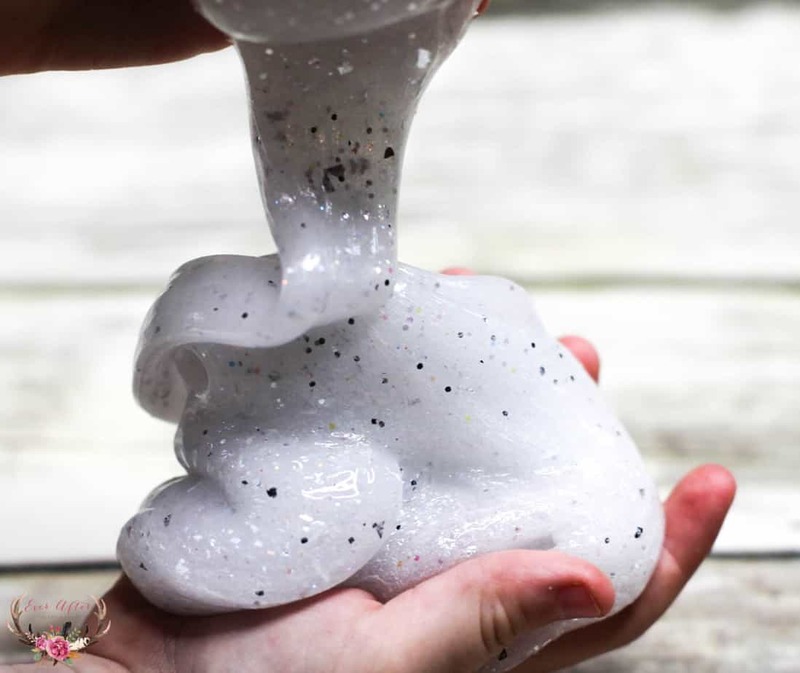 Fold and stretch the glitter to add the shimmer to the slime. 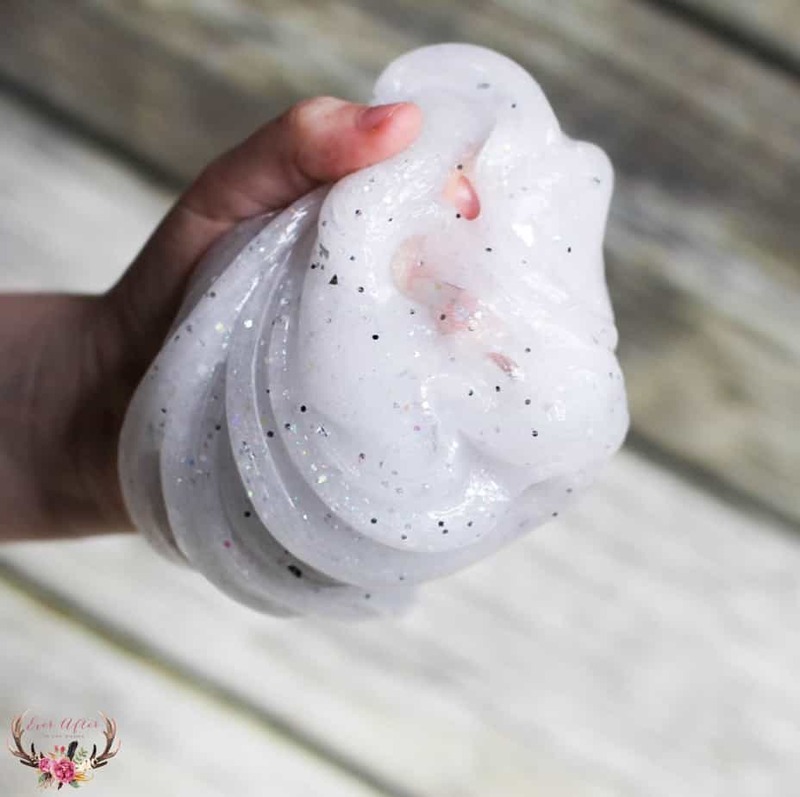 This disco ball slime is easy to make and the glitter adds a hint of beautiful shimmer to this slime. I love that the consistency is smooth and beautiful. We have been hit with the slime bug for sure! 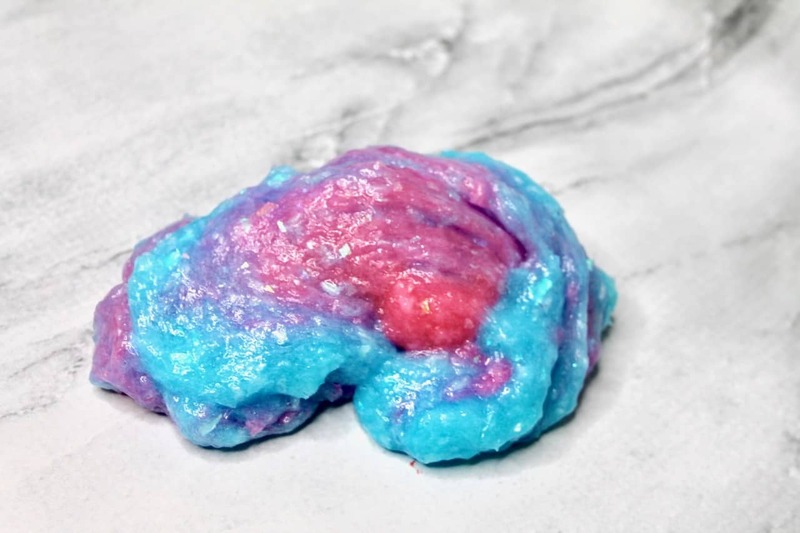 We now have been making a different slime recipe each day and we cannot wait to share our new creations with you! 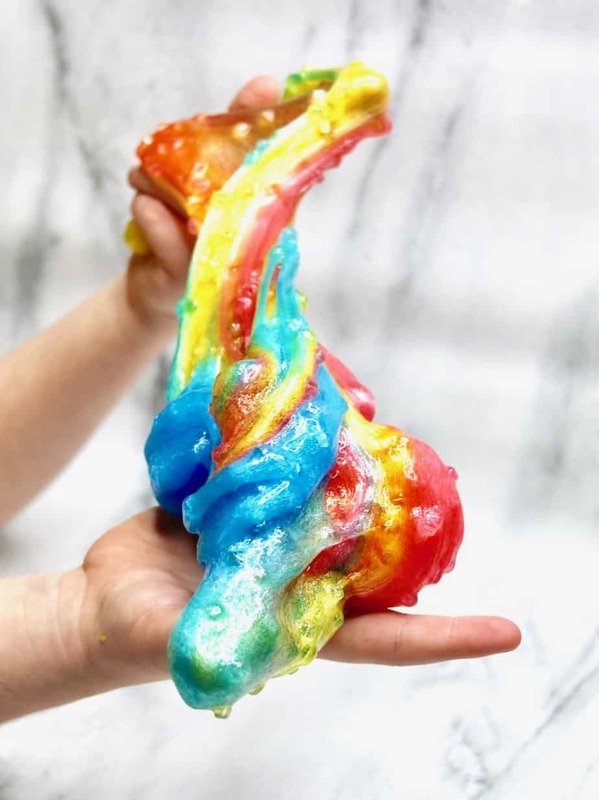 Embrace the creative slime frenzy and bond with your children over the process of making slime.